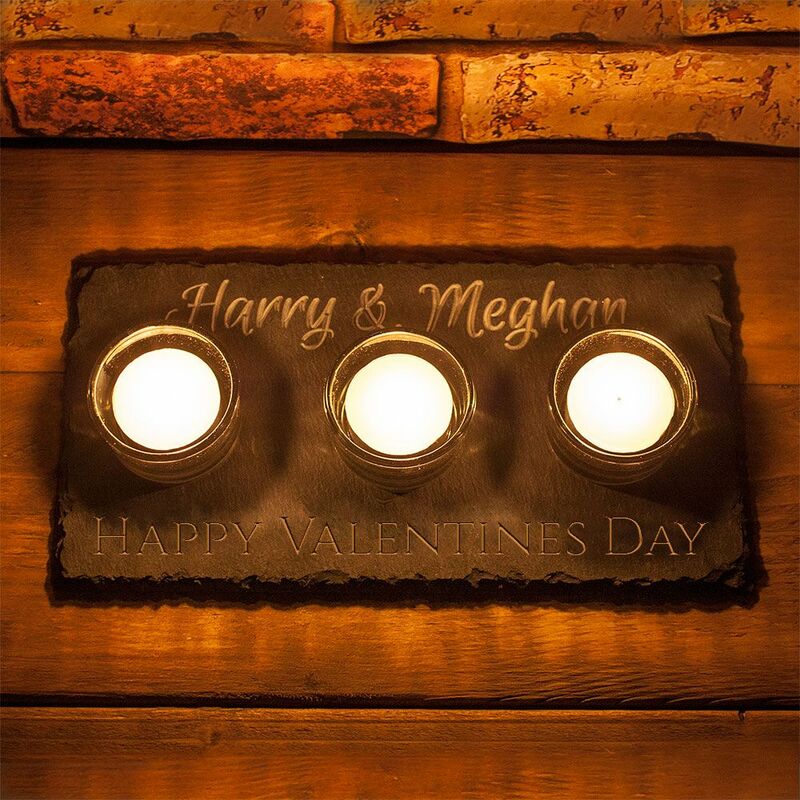 Engraved in our studio, this charming slate tealight holder can feature your choice of any wording or short sentiment making this a truly unique gift. Simply add the name/text you would like into the text box box on the right hand side and choose the font style from the drop down options before adding to cart. We will then create the design and email a digital image for your approval. Once approved the item will be engraved and despatched. If you have any other design requirements or fonts then please contact us via email or the online chat and we'll be happy to help. Please note: Due to the natural variations in the slate we use, we cannot guarantee that the colour or texture of your product will be exactly like the images shown.